In Decemeber 2006, leader TAKA welcomed “EXILE VOCAL BATTLE AUDITION 2006 ~AIAN DREAM~” finalist Yuichiro and KEISEI and RYO who went to round three of the competition to begin “COLOR”. Released the three albums “BLUE ~Tears from sky~”, “BLACK ~A night for you~”, and “WHITE ~Lovers on canvas~”. In the summer of 2009, changed the name of the group to “DEEP”, and with the aim to deepen their activity, took off on their new start. IN October of that year, released the first single as DEEP, “Endless Road”, and began their hall tour in December. The next year, began their live music bar tour in parallel to perform in all 47 prefectures of Japan. In May 2010, the tour came to an end. In June 2010, held the national 4-show premium live event, “DEEP SYMPHONIC CONCERT TOUR 2010”, which featured a strings section for the first time. In July 2010, released the double A-sided single “milestone / SORA ~Kono Koe ga Todoku made~”. “milestone” was inserted as the theme song for the Kadokawa movie “Lost Crime –Senkou-“ while “SORA ~Kono Koe ga Todoku made~” was the theme song for the national TBS-MBS Network drama “Inu no Omawarisan”. In November of that year, released “Mirai e no Tobira”, theme song for the drama “Iryuu Team Medical Dragon 3”, which contributed in earning them even wider recognition. In May 2011, held their first one-man show at Nippon Budokan, “DEEP LIVE TOUR 2011 ‘Mirai e no Tobira’ ~FINAL in Nippon Budokan~”. In June 2011, began their second 47-prefecture live music club tour. In October, still amidst the tour, released “Kimi Janai Dareka Nante ~Tejina~” which ranked 3rd on the Oricon Weekly Chart. 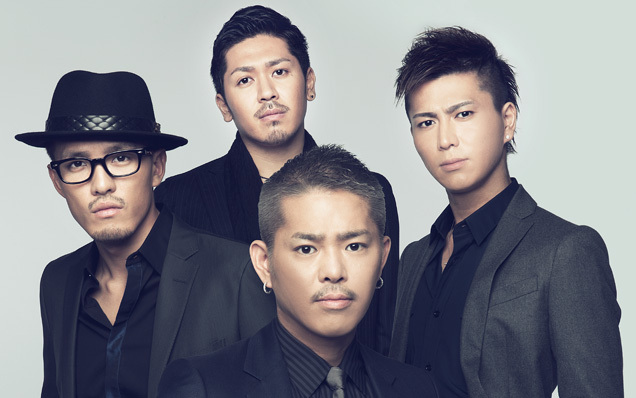 In January 2012, released the painful-yet-positive ballad “Callin You”, which marked the fifth consecutive release to be ranked in the top 10 of the Oricon Weekly Chart. In February that year, released the new album “YOUR STORY” which included the aforementioned five singles in addition to tunes from various genres and styles including ballads, up-tempo and medium-tempo tunes, R&B and more. They are currently holding the hall tour “DEEP LIVE TOUR 2012 ‘YOUR STORY’” in promotion of the new album.